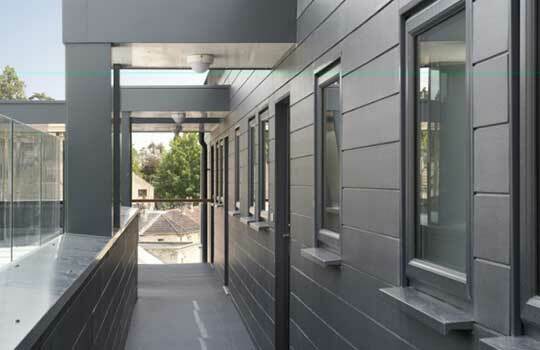 Based at Mount Wellington Mine, Bissoe, Cornwall Cladding specialise in high quality, FSC imported timber cladding and Cedral click systems for small projects, self builders or larger developments. Canadian Western Red Cedar, kiln dried Siberian Larch and Scandinavian Thermowood D cladding are all available in a variety of profiles. We can also supply planed square edge timber (PAR) for corners and window reveals, stainless steel fixings, battens, insect mesh and Osmo Oil UV protection. With a clean contemporary minimal knot finish, Western Cedar is naturally resistant to decay and insect attack. It is an excellent material for thermal insulation helping to keep the heat out in the summer and the heat in in the winter. It offers good acoustic qualities helping reduce noise and is resistant to warping and twisting. If left the Green quality grade timber will naturally turn a lovely shade of silver / grey over a period of 12- 18 months. Stainless steel or galvanised fixings should be used. Kiln drying is a controlled process that allows the timber to dry uniformly. 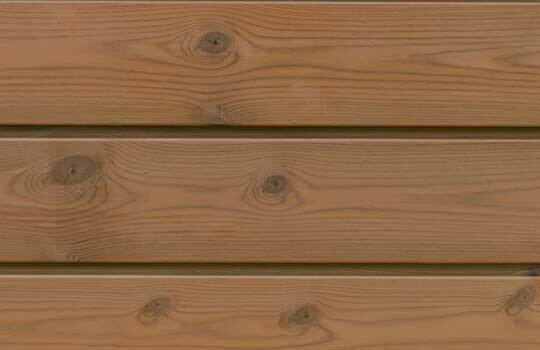 This creates a consistent, superior quality timber that is suitable for finishing immediately with a fire coating, paint or stain should you wish to apply. Slow growing and superbly sustainable this extremely dense timber is naturally resistant to rot and decay. It has a tight grain and a low penetration level for water and moisture. 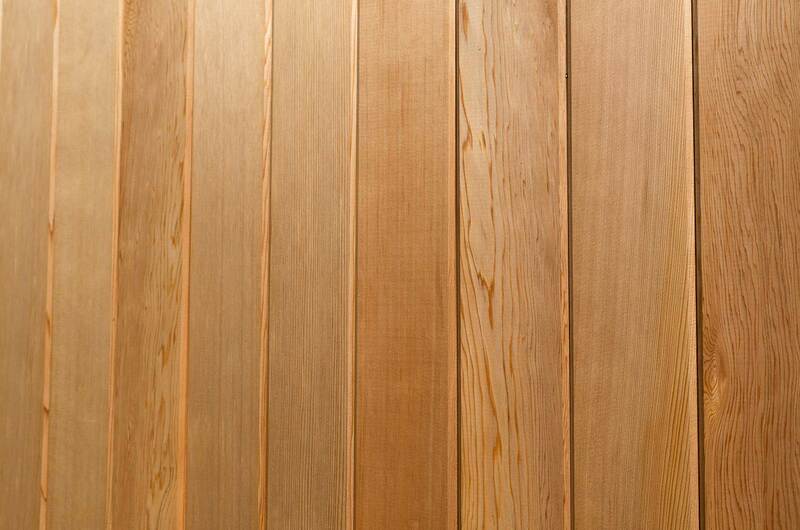 This tough durable timber has a clean contemporary look with small sound knots. Golden brown in colour the kiln dried grade provides consistent quality and uniform colour ideal for long term high specification cladding projects in the harshest of environments. 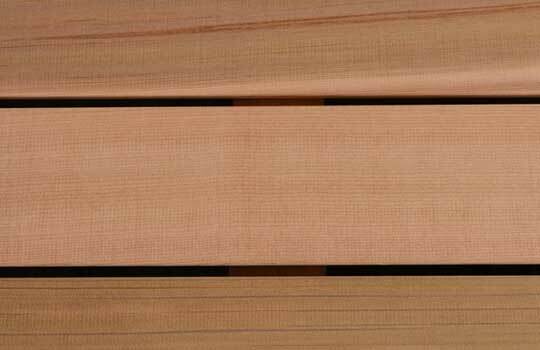 Sawfalling grade has more frequent larger diameter sound knots in. 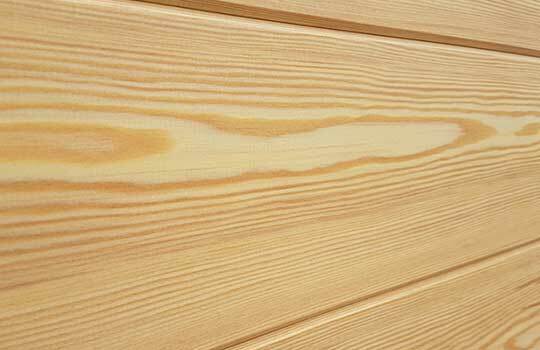 It provides a excellent alternative and price sensitive option to the graded Larch for a durable timber cladding. 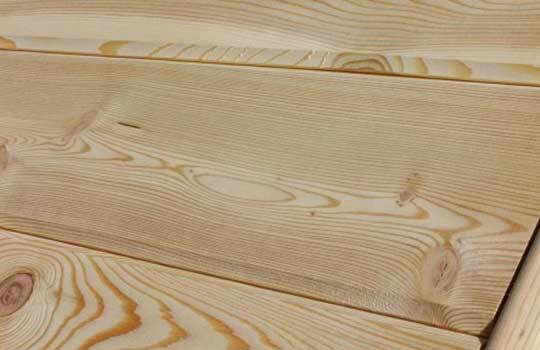 Thermowood D is produced by a chemical-free heat and steam process on Scandinavian Pine and Spruce using temperatures of 212 degrees centigrade. During treatment, chemical and structural changes occur within the timber itself which changes and improves its characteristics and performance. It becomes more durable and stable making it an ideal claddding material. Correctly installed and dependant on location and weather exposure, uncoated Thermowood D can achieve a 30 year life. It will take a treatment well and if correctly coated and properly maintained this can extend to 60 years. Care must be taken when using as the final product can be brittle and ensure rust free nails are used. CEDRAL CLICK NOW AVAILABLE Smooth contemporary wall cladding in a few clicks! – No routine maintenance required – Easy and quick to install – Resistant to rot and immune to attack by pests and insects – Available as a complete system solution – Stands up to the harshest weather conditions – Used in the same way as wood. Disclaimer Timber is a natural product and as such you should make a considered decision on purchase. Its’ natural characteristics may produce a variation in colour/ finish and performance and timber will move and alter during different climatic changes. These characteristics are not deemed as defects, we have no control over this and while we will endeavour to check all timber before despatch we cannot be held responsible for these variations. 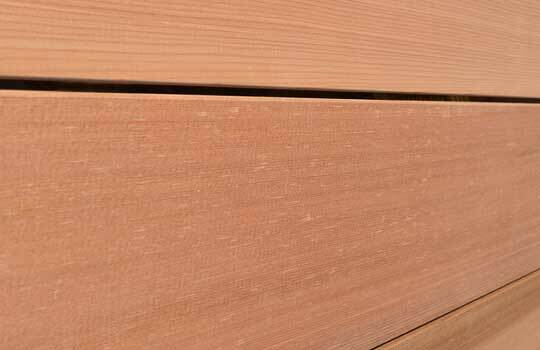 Sizes of cladding provided are accurate when timber is machined. Please ensure that you order sufficient materials in length and volume, including wastage, to ensure that you can complete your project. We reserve the right to amend profile dimensions without notice. 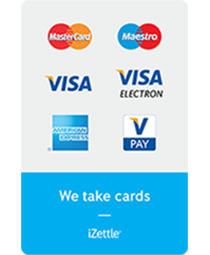 If you are re ordering, please check current dimensions with our sales office. We also can supply stainless steel fixings and insect mesh for your cladding project . Please see Our Cladding Prices for further details.